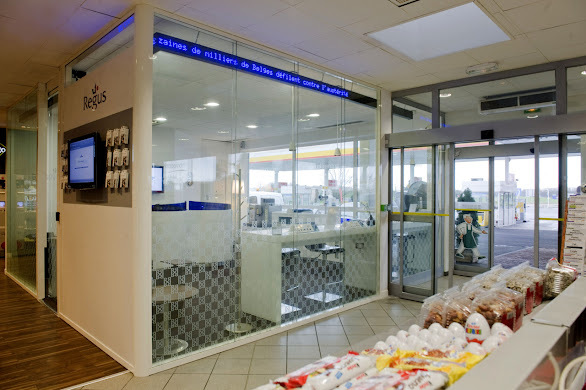 A co-venture project between Regus and Shell will see a network of new business lounges opening at Shell petrol forecourts on motorways across Europe. If you are a mobile worker like me, this scheme could be of real benefit. The first business lounge has already opened at a Shell station just south-west of Paris on the A10 autoroute, at the Limours-Janvry service station. To access the Regus business lounge, individuals must buy a day pass at the Shell checkout or swipe a Regus Businessworld card. combine stopping for fuel, food or forecourt services with using professional work facilities. "The segmentation and targeting of roadside users is continuing to be exploited and will result in new wave of forecourt designs and integrated solutions", says David Davis, roadside design strategist of Minale Tattersfield. "At a very early stage we predicted the trend away from traditional fuel products towards niche services with a social community benefit. We are already seeing growing experimentation across the forecourt sector with omni-channel retail and locker banks which cater for new shopping habits." In this instance Shell is extending its offering to cater for workers on the move who still need a moment of respite. 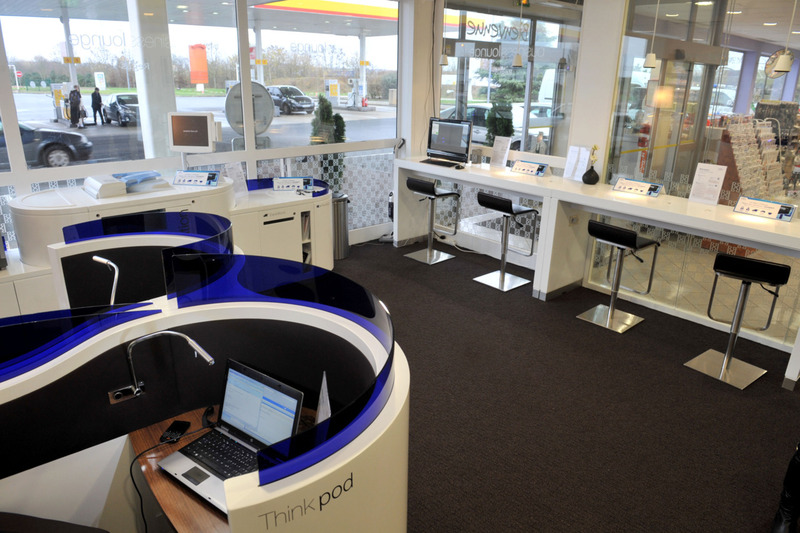 Mark Dixon, CEO of Regus says: "By opening Regus business lounges at motorway stations, Shell and Regus are bringing vibrant business hubs right to the roadside." The interior design is quite basic in terms of branding and design, but is still adequate as a trial concept. It will be interesting to see how well used the space proves to be and how other fuel retailers might look to improve on its design and implementation.